Source Wrestling School to Crown First Champion! 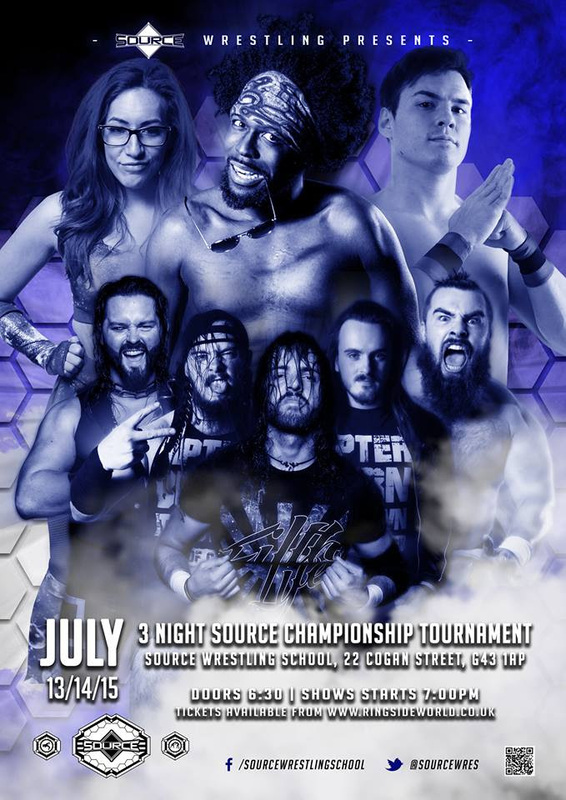 Starting on Friday 13 July, Source Wrestling School in Glasgow will be celebrating the young talent of Scotland by holding a tournament to crown their first ever champion. Running over three days in their Glasgow based training centre, the school, which has produced multiple international WWE superstars, will bring together talent from all-across Scotland and beyond for high impact, family friendly, wrestling. Head Trainer of Source, Mikey Whiplash, commented on the tournament saying: “For years, professional wrestling in the UK was considered a novelty act, with most people assuming it was a thing of the past, associated with Big Daddy and Giant Haystacks. Alongside the tournament, the shows will feature some of the top stars from across the UK for evenings of family friendly professional wrestling.